Last month, we mentioned in our review of the fabulous Atkin ‘The Forty Three’ that artificially aged acoustic guitars were scarce compared to their electric cousins, so of course, a month later another one lands in our laps! 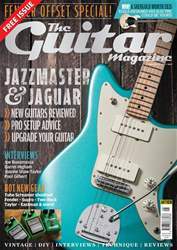 However, as you may well remember from the Antique Varnish SB59/V electric that we looked at back in our May 2017 issue, Eastman’s attitude to artificial ageing is very di. erent to the treatments you’ll see on other guitars. We detailed the process at length back in May, but su. 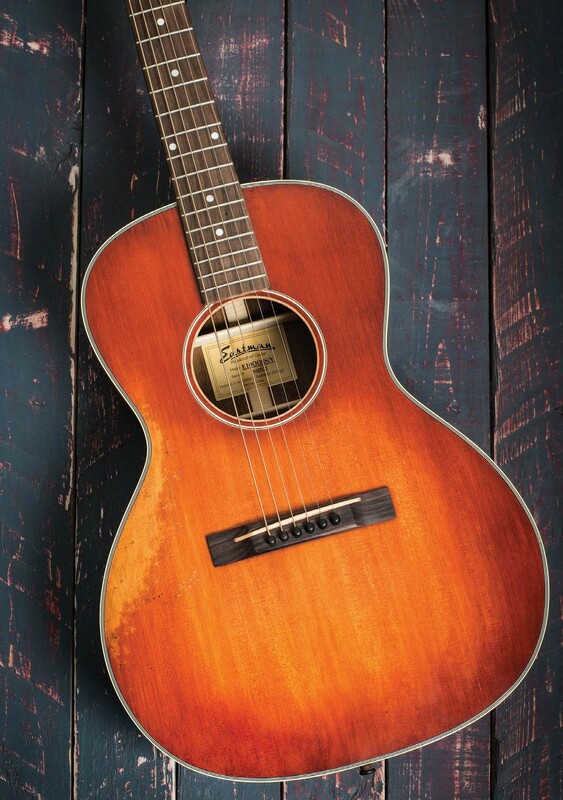 ce to say, Eastman’s aged guitars look well used, without looking abused – and so it is with this acoustic.